The sun is shining more, the air is getting that tiny bit warmer and wolly jumpers are being put into the box for the rest of the year! Sounds like spring is here and summer is near! So to get myself into the mood, I did a bit of spring/summer shopping! 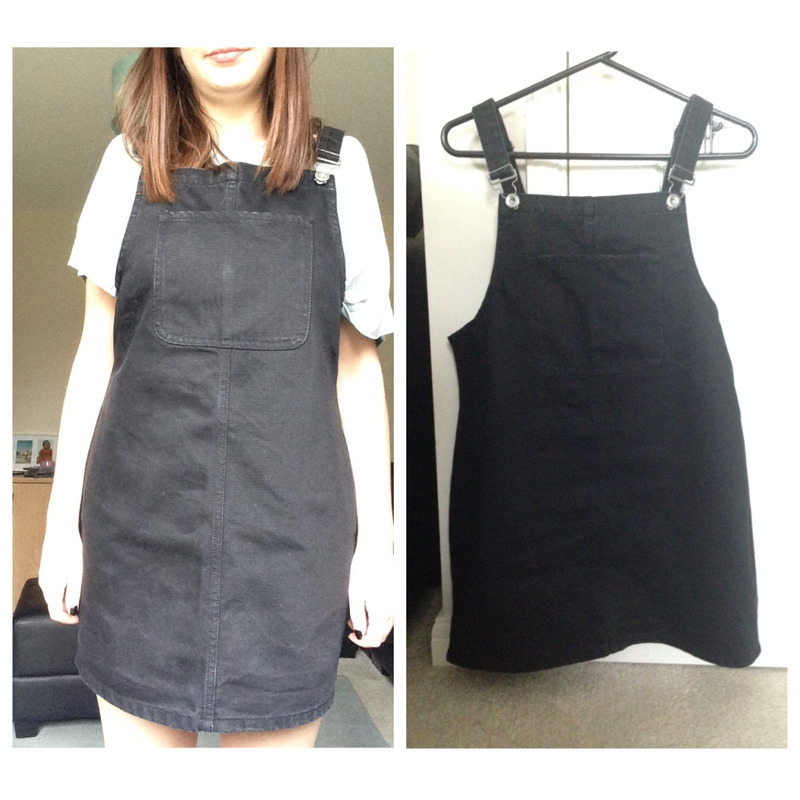 So first on my haul, I bought a pinafore dungaree dress. 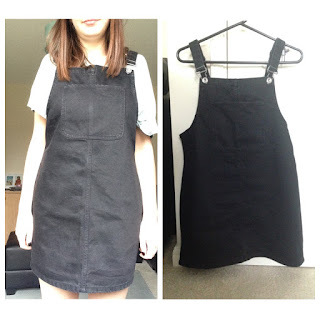 As it seems it's pinafore season, very fashionable, very pretty and I just had to get one! Black dress. Next I got a top, small black and white strips with a two layer peplum finish. I haven't got a photo of it to put here because it's currently in the wash! 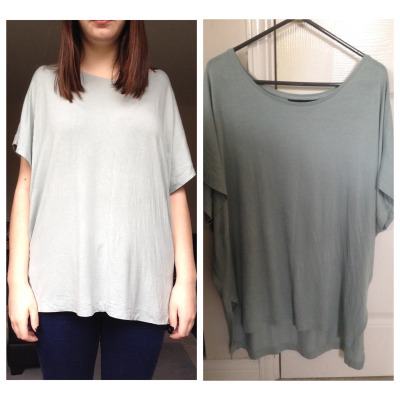 Another top is the Oversized t-shirt. 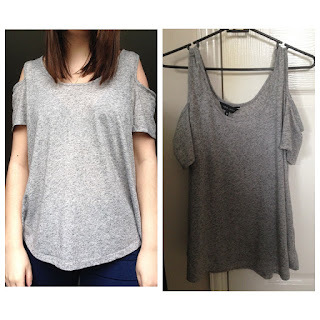 I got this just to lounge in and it would be a perfect casual tee for casual days out. I also got this tee in a burgundy colour but it's in the wash so no photo! This colour however is like a duck-egg blue. I did get a size smaller than my usual because it's an oversized tee but it does fit perfectly and still a little baggy a size smaller. 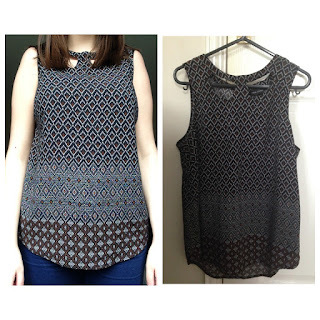 Another top I got is a cute patterned neck cut out top. I do like my patterns and I thought it was a nice top and really liked the neck cut out. Next is a plain black tank top with mesh/crotchet cut at the bottom which gives it a little twist to being a plain top. I like this because it's simple and it can go with anything and of course I just like the bottom! Lastly I got a cold shoulder top. I am really digging the whole cold shoulder trend, whether it's stops, short and long sleeved or dresses. I just think it gives a really nice touch to a plain top. I do already have a coral/pink colour cold shoulder top and I like them so much so that I had to get another, so I got a grey one! It's not a tight fit, it's not too loose, it's a perfect fit and a really nice grey shade. 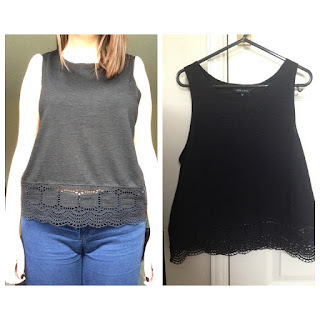 So there's a little clothes haul of my spring/summer clothes! Sorry about the lighting, it wasn't the best but it was all I had! Hope you enjoy this post and enjoy your weekend!